Fly Splashtopia was adopted at the Valentine Event hosted by the Fiehrer GMC Dealership in Fairfield Twp. 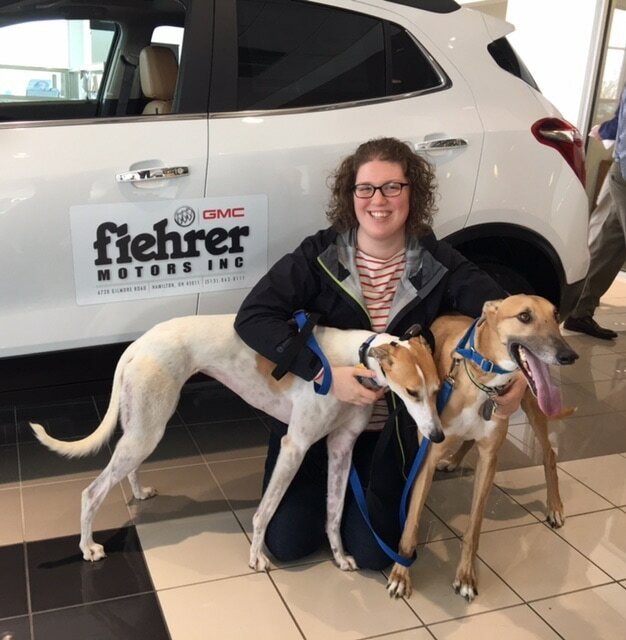 She was being fostered by Emily who started calling her Josie, well Emily's first greyhound, Lenny and Josie got along so well together, Emily flunked fostering! Josie is so lucky to have found her forever home in Dayton!